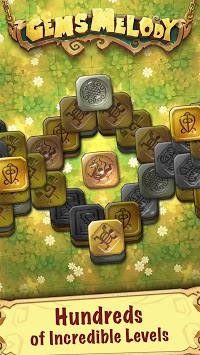 Gems Melody is a free casual game from 1C Wireless that combines elements of multiple genres such as Puzzle game, 3 in a row game, 3-In-1 game, Matching game and Mahjong (also known as Mah Jong, Majong or Mahjongg). 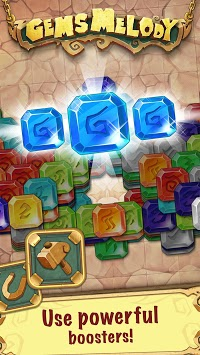 Your goal is to clear the play board by matching the three identical unlocked gems of the same color to remove them from the playing field. This newest board game offers various magical locations with hauntingly beautiful graphics and musical soundtracks which can be a real joy and relaxing game play for players of all ages. 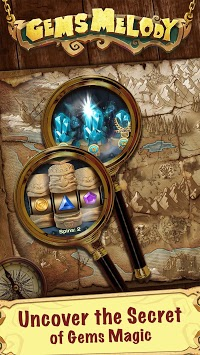 • Collect all pieces of the map and find the secret path to the cave of musical gems! • A free & easy to play puzzle, challenging to master!